Look, I get the fact that Ted Cruz is not everyone’s cup of tea, and that in particular, there are a number of journalists who are thoroughly un-enamored of the junior senator from Texas. But if you are a journalist who wishes to challenge Cruz, or at least, to offer the news-consuming public some interesting and informative fare, there are some things that one must not do. Watching Mark Halperin of Bloomberg Politics interview Cruz recently, I wasn’t just uncomfortable. I was actually nauseated. 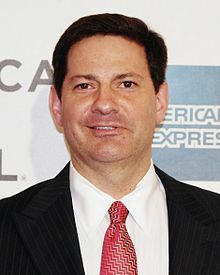 As a journalist, I felt embarrassed for Halperin. As a Hispanic, I felt like I was watching a college fraternity have fun with racial stereotypes, like when staging a “border party” where people show up in serapes and fake mustaches. And as someone who doesn’t adhere to a party line to the point where I’ve been accused of being a “coconut” (white on the inside, brown on the outside), I was furious enough to — as Sarah Palin once said approvingly about Cruz — chew barbed wire and spit out rust. I’ve known Ted for more than a decade and I could tell he was uncomfortable. But he played along, listing various kinds of Cuban food and saying that his musical taste veers more toward country.I kept waiting for Halperin to ask Cruz to play the conga drums like Desi Arnaz while dancing salsa and sipping cafe con leche — all to prove the Republican is really Cuban. Are people going to get fired over this? Because they should be. I can’t imagine the fun we would have seen if Halperin had actually engaged him on the issues. Instead a college fraternity on display, we could have well seen total ignorance on display. I assume you mean Halperin’s total ignorance. I have learned over the years that journalists usually know or understand very little of what they report on. So why do Republicans “play along” when they get this sort of treatment from the media? Why do we always get the “deer in the headlights” look from GOP personalities? What, they were expecting something different? I think it would’ve been hilarious if Cruz had told Halperin he was giving a welcome message to Sanders, but then — en espanol — tore Halperin to shreds for his biased, boorish behavior, telling him how unprofessional it was to treat a Latino like some kind of second class citizen circus act. The doofus wouldn’t have known the difference and would have sat there smiling like a nincompoop. Halpern is all of the above. That said, oafishness is one thing, but calling for someones job is a little, shall we say, “SJW”-ish isn’t it. I despise that tribal tell in liberals.